Welcome back! How are you today? In the first part of this series I talked about how my business has grown and changed in the last few years. I answered questions on pricing and creating systems for automation. If you haven’t had chance to read that yet, I encourage you to do that now. You can find the post here. Today I want to continue with giving my insights on your business questions. I started offering an intuitive health coaching package that for the in-person clients may have involved in some massage - it doesn't so much anymore - but also giving people the opportunity to work out alongside me what it is they need in any moment when it comes to a session. It really gave that flexibility of, “Are we talking about supplements here? Are we talking about some sort of health coaching? Are we talking about putting some stress relieving practices in place?” or anything like that. See how that feels for you as you read this, because being able to combine them and find a way that works really well for you may just help you not only to leverage the passive income side of things in your business, but also to be able to reach a bigger audience, to be able to generate more curiosity, more interest in what it is that you do as a whole thing. I think that's a powerful starting point for you, to work out what it is that you want to be doing, because then the focus, the routine, the excitement, the motivation will probably start to come as a result of that because you'll start to notice that alignment dropping into place. 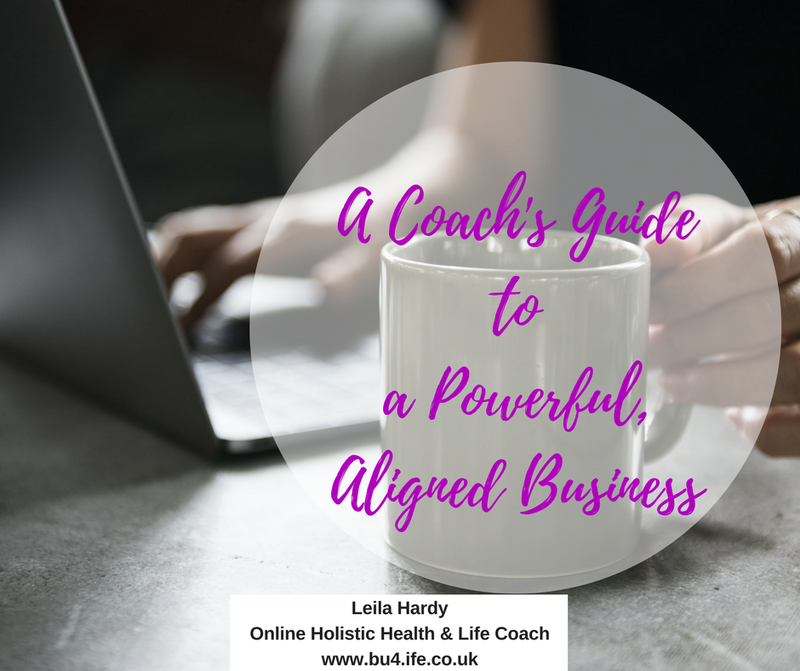 As you really let that move into alignment you'll get new ideas, creativity, you'll start to recognise where your peak time for working might be, your peak times for your energy levels but maybe the peak time for your potential audience may be around as well, whether that's locally in person or online as well. Grab a pen and paper now. Write all of the things that you do. Write all the things that you are capable of doing, that you're interested in doing, that you have maybe some key personable skills as well that you can transfer from if you think about it that way. Things that you can then potentially be helping somebody else with or use in your business in a great way as a unique selling point or just to be able to make sure that you have an amazing business in place yourself. Creating a marketing schedule that you can grow with, one that supports where you are now but considers where you want to be without having a complete overhaul. Marketing schedules are my thing because this is where I fall into my zone of genius - working in pockets of time. So if you are really busy, to be able to just hone in and maximize what are you doing in those pockets of time but also to have things that you can go to that give you the opportunity to literally in those pockets of time know what you're doing, lasering in on what you're doing and spend those times doing it. Set yourself up some kind of spreadsheet where you can start to have different tabs for different things that you might be talking about or posting about, and put them in. Put them in there so you can always go back to them. I'm always thinking, “How can I make sure I only have to do this once?” when I set something up. A spreadsheet has just been the best way for me to be able to organise things so I know what I'm looking at and where I'm looking at it when I'm doing my marketing or copy and things like that. That gives me the opportunity to then just go to wherever I need to go to in the spreadsheet when I need to go there. Now let's move on to the next thing - the when. If you work in different time zones, like I do, then the when can be quite different. I spend some time in the morning here in the UK networking in some UK groups. And then come the afternoon in the UK, I spend some time in the American groups and the overseas groups. That gives me the opportunity to work in the peak times when other people may be checking in on Facebook, saying hello and getting to know people, helping, supporting and inspiring wherever I can. That works really well for me. Of course this way of working gives you the opportunity to in any moment be looking at a schedule that works really well for your own pockets of time where you're at now, but will also allow you to have the opportunity to grow as you get busier to still have that system in place and to really allow it to evolve and tweak the wording if you need to and to be able to use it over and over at different times as well. You only have to do it once but you can use it over and over. If you are blogging, if you’re using emails rather than just Facebook, for instance, or if you're using other platforms as well, my suggestion is that you focus on one till you have mastered it. Facebook generally seems like the logical one because that's where everybody spends their time even when not at work or marketing and their business. Of course you've just got to be mindful of the changes that go on always through Facebook. When you are clear on those things then you have the opportunity to start to either upscale what you're doing so it works across different platforms or to be able to use that foundation where you’ve put in your spreadsheet those basic posts of marketing that you want, and then you can allow that to expand out to a blog content, video, or whatever that might be. All I would say is make it consistent. Work what you have into your time. When are you going to go live? When are you going to do some posts? Things like that around where people are about and busy. You'll notice that a Tuesday evening in the UK time is the best time that I have where people in the UK aren't necessarily at work. They’re at home and free to listen. But it also ties in perfectly with people overseas to check in who are a few hours behind us. So it's still part of their day as well. Find that time and then be consistent with it. You can then allow that to become part of the routine, everybody loves a good routine, and you have the opportunity to know where you’re at with it as well which means your subconscious brain starts to prepare for it in advance too! I kind of touched on this already actually. But I think it's key to notice where you have pockets of time and then what are the key income-producing activities (IPA's) that you can do in that time that are going to maximize what you're doing. You have the opportunity then to be able to be clear on what it is that you need to do. You're clear on when it is that you have the time available to do it. Then you can look at, just like we said earlier, how you can make some of that automatic. So it's stored somewhere so you only have to do it once or that you can really hone in and laser in on that time to be able to make sure that you're doing what you feel you need to do in each block of time. Also remember as well what's important to you. Having a powerful AND aligned business needs to be in tune with your own values. If your values are family and downtime relaxation, but you're finding that when you are doing the work full time and business that you are losing time with family, you're stressed and you’ve got no downtime whatsoever, then you may need to just re-evaluate the values, or the workload. As soon as you accept that that might be how it's feeling for you, even if it's not a really good feeling right now, you can then allow the mental space to be able to let those new ideas come through of how you can work with this and how you can deal with that in a really powerful way, so the alignment is there for the long-term. It's amazing what just thinking about it in that way can do for creating that mental space for all the ideas and all of the solutions you can find for making time for your business and what to do in those times that you have. I would certainly get clear on what the non-negotiable times for your business you have are. As soon as you have that you can then work out what you need to do in those times that are going to be the number one priority for growing your business or building it or whatever it is that you want to do as an objective for that. Let’s stop here. I’ve covered a lot of information here and in the first part of the series. In the part 3 of series, I’m going to answer more questions on business that will help you grow in your business. In the meantime, if you have any other questions, need guidance on some part of running a business, don’t hesitate to get in touch with me here!